We're not lying when we say that STORMR has you covered from head to toe. Sportsmen often neglect their feet when making wardrobe choices, but experienced outdoors enthusiasts know that the difficult task of locking in warmth down there can be another key to regulating your body temperature and comfort level. 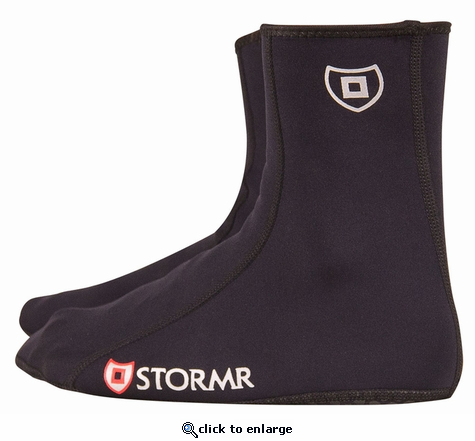 STORMR socks are available in two thicknesses so you can dial in the proper thermal protection that the conditions require. The 3mm sock features glued and blind-stitched seams for waterproof protection. The 1.5mm sock is thin and stretchy and can be worn over traditional socks for an additional layer of thermal protection.